At The Brighton Kitchen Company, we give every project the bespoke treatment that it deserves, tailoring every design to ensure it’s exactly what our clients are looking for. Our team are dedicated to bringing creative, innovative feature ideas into each space we work in, delivering the very best in kitchen design. 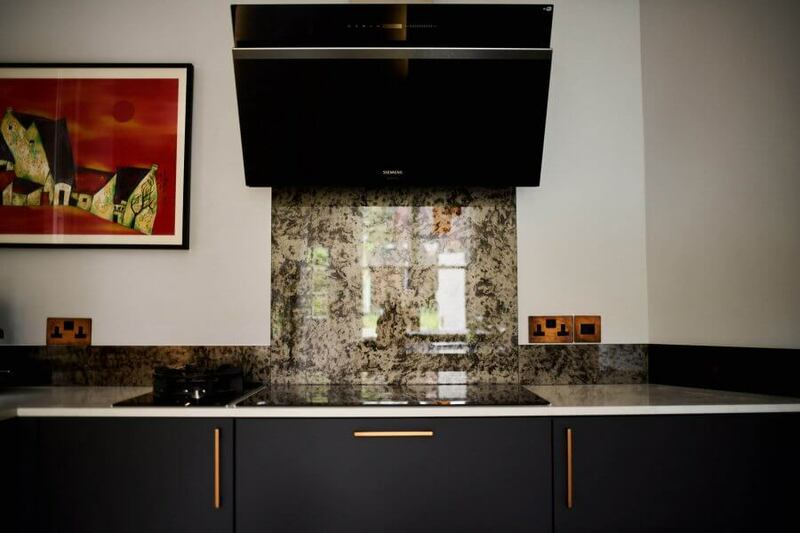 From our showroom and design studio in the heart of Sussex, we create and install luxury kitchen concepts for homes in and around Godalming, working with the visions of our clients to bring their dreams to life. Working with The Brighton Kitchen Company, you can be sure that you’ll enjoy every step of the journey as well as the stunning end results. Our ethos is to create extraordinary living spaces and luxury kitchens for individual families. We work to incorporate your design ideas and the needs of your lifestyle, building a unique, beautiful room that works intuitively and flawlessly. To see these ideas in person, we welcome you to our inspiring showroom in Mid-Sussex. As soon as you step through the door, you will see the kinds of kitchens we create. Each design is striking and thoughtful, responding effortlessly to the space around it. We also pride ourselves on the exceptional craftsmanship that goes into every one of our installations, ensuring that they are a joy to touch and use every day. Our showroom is the ideal starting place for ideas about your own home, and our talented kitchen designers are on hand to answer any questions you may have. Once you have seen the quality our work, the first step to achieving your dream kitchen is to book your complimentary design consultation. One of our designers will draft a first layout of your kitchen, working closely with you to realise your vision of the perfect space. 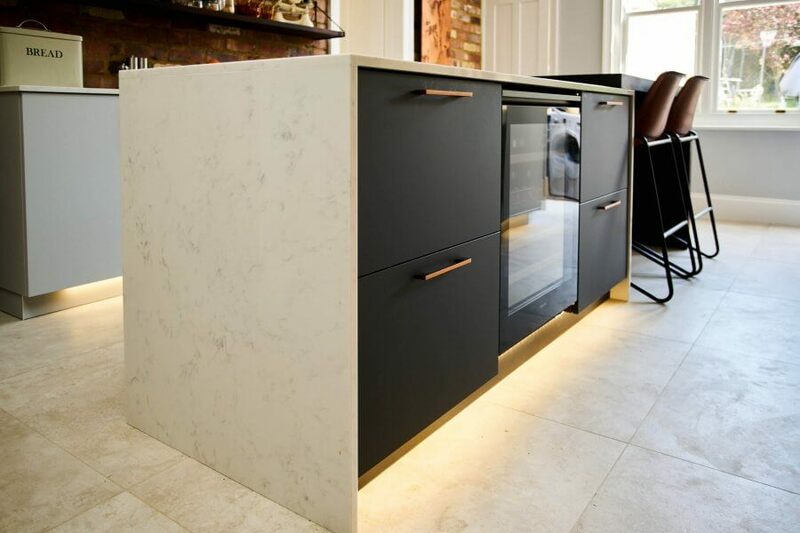 We’ll discuss every detail with you, from worktops, cabinetry and flooring design to innovative storage solutions, lighting options and finishing touches. Our goal is to provide you with a one-of-a-kind space that is as functional as it is beautiful. When you have chosen your favourite features, our team will draw up CAD visuals and complete presentation so you can see exactly how your new kitchen will look in your home. We will invite you to see this at our showroom, where you can fine-tune the details until you are completely happy with the design. We are dedicated to creating unique spaces that work in harmony with the rest of your home, whether that includes sleek geometric lines and modern materials, or more conventional features. 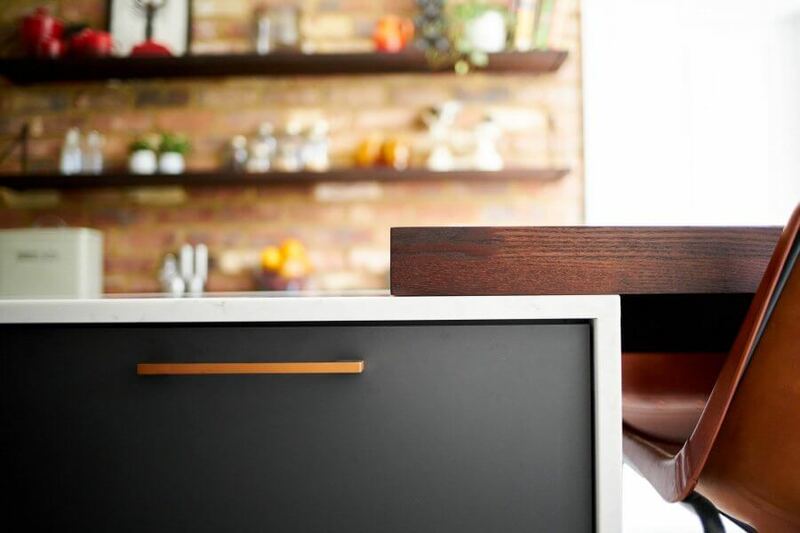 Our contemporary kitchen designs are available in a range of styles, which we source either from our partner in Germany or from a local Sussex cabinet maker that creates exceptional bespoke designs. Whichever style of contemporary kitchen you prefer, we guarantee luxury materials, innovative designs and exquisite craftsmanship. Despite the growing popularity of contemporary kitchens, we understand the timeless appeal of a traditional design, particularly in a period home with heritage features. By choosing The Brighton Kitchen Company to create your bespoke traditional kitchen, you can be sure to get a beautiful, classic space without compromising on any of the modern conveniences. We are passionate about creating unique spaces that work seamlessly with your home and lifestyle. Your individual tastes will be brought to life by our expert team, building a luxury bespoke kitchen that will be a pleasure to enjoy for years to come.